I did notice on my return when I downloaded my images and started processing my pictures how most of the frames seemed to be at a distance I contem plated this and wondered if my subconscious had kept me at arm’s length from a scary world, that you know is there, but you would rather just keep it swept under the carpet. Maybe I felt it was a disease and I would be tarnished if I got too close. After all, this is beautiful Yorkshire, the place of my birth, these places to the outside world do not exist. Thanks to us, the street photographers, people see the real world. Robert Bannister, the man from Yorkshire does not suffer fools. In fact, he does not seem to suffer at all, and has a love of life that is undisguised. This is served up with some extraordinary B/W work from his trusty Fuji X-series cameras. Some time ago, I needed to step away from my life and be someone else for a long weekend. I gave myself a “kitchen pass,” and offered a plausible narrative about my solo experience to the one who loves me. In less than four hours, I was in the back of a taxi riding through the traffic-clogged streets of Manila to a hotel recommended by a friend. “Boss, this your first time in Manila?” the driver asked. I dislike small talk with foreign taxi drivers, who often want to run you to a goofy tailor shop, a dubious jewelry store, or a cheap whorehouse. Before I returned home, I knew my friend would be delegated to an outcast for his advice. Michael Kennedy, is an American photographer, writer, and reconteur who lives in Seoul. Although photography has always been his passport into other worlds, he has also managed to write hundreds of love letters to several women with names that begin with “S”. Although I travel a lot, and have seen poverty in Cuba, Guatemala, India and more, this journey made me sad and more determined to tell the story of the Filipinos. Someone might see it; someone might have the means and will to do something. Orna Naor was born in 1960 in Jerusalem; married + 2, residing in Tel Aviv, Israel. Street Photography attracts her especially for its vividness; the people, the dynamics, the activities, the esthetics, the connections and sensitivities. The persistent ticking of the dosimeter is a sound and a sensation that we will never forget - along with the deafening silence of Pripyat. No one can forget this experience. ProgressivE-Zine will be downloadable in a non-printable high-quality format from our site. We're offering you to get the print version from on demand printing house Peecho. Important: that is a pure service we provide towards our readers, we neither generate any income by selling the print nor have we any influence on the printing service and quality Peecho offers. 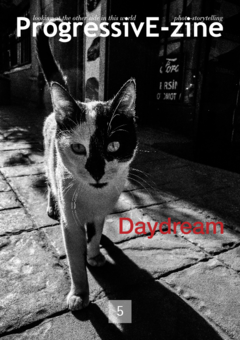 It is simple: because ProgressivE-Zine will not be the usual street photography magazine. Born in East Berlin in 1958, he spent his time behind the Iron Curtain painting, photographing and cavorting with fellow dissidents. After trying to escape from the East by climbing the Wall and being caught he was send to prison for two years. Upon completion of this exercise in character building and more troubles with the authorities, they realized he had become too much of a nuisance and kicked him out of the workers paradise. Two years in West Berlin followed before he was washed up on the shores of Los Angeles were he is still toiling in obscurity. Artist of irreality, she writes stories in images and tells visions in words. Anyway, “artist” of the Irreality, means: to be able to stand outside, beyond. Living perpetually in the interspaces, those that can be caught by the lens or by the words, having no borders, obligations. In many of her writings she speaks of invisibility, transparency. And also in her photographic works she speaks of empty and full. Of absence. 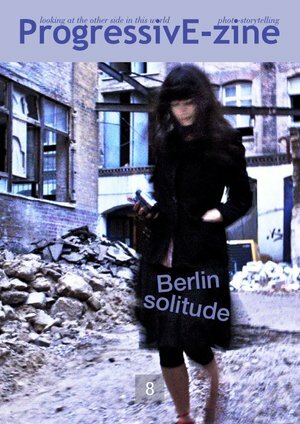 She is a West-Berlin aboriginee and loves Berlin. But it's an open relationship, she loves many other places, too. There is so much to discover, so much to experience. She started street photography and light-Hunting four years ago, a passion and love that hit her unexpectedly. Born in 1948 in Leipzig, first made an apprenticeship as a screen printer in his parents' business in Fulda. After completing studies in photography with Prof. Pan Walther and Prof. Adolf Clemens (1968-1973) at the Werkkunstschule/FH Dortmund/University of Applied Sciences, he focused on the conception and creative realization of visual and audiovisual projects for national and international clients in the Studio Wuppertal. 1976-1983 the appointment was made by the Minister of Culture of North Rhine-Westphalia as a lecturer at the University of Wuppertal, Department of Design. Wolfgang Schreier has received numerous awards for his work and has had exhibitions in Germany and abroad. In 2017 he was appointed Ordinary Member of the German Society for Photography (DGPh). Wolfgang Schreier lives and works in Dortmund. 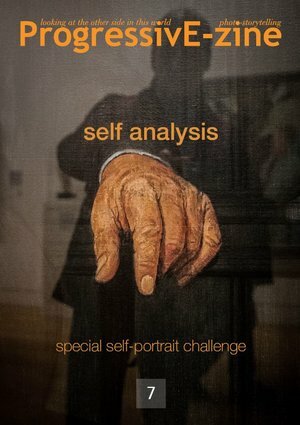 In this special issue you will find some beautiful self street portraits! 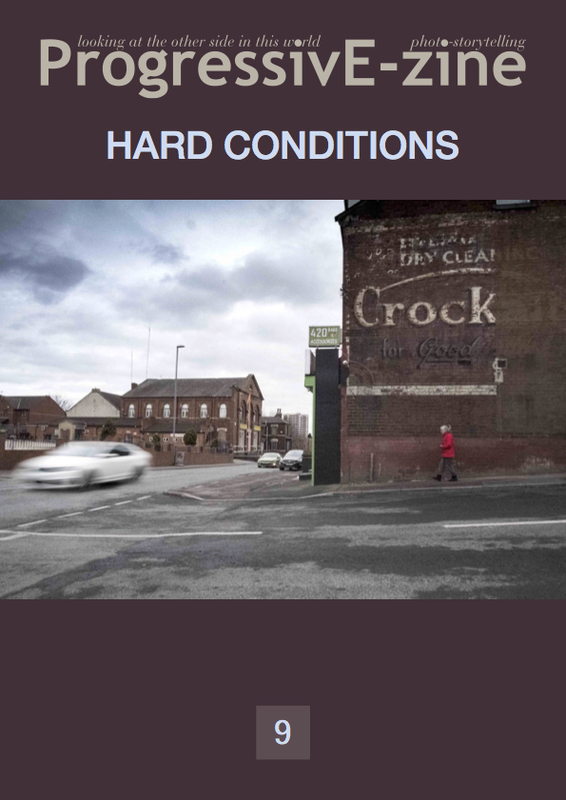 This was the challenge: with this project, we looked for street images where the photographer was a part of the story. We wanted photographers to produce a piece of art in which they appeared. We wanted photographers in the story they were telling. “Yet a self-portrait is not a selfie. It is a splendid photograph, which reveals something of its author. Gianni decided to go to the Maramures in October, 2012 - together with a friend who knew the territory. On this trip he met many people, he visited homes, and participated in everyday life. Dino Morri, was in Cambodia and was hit by children. Children in Cambodia live on the edge of civilization, yet they look at you with eyes full of light. They hug you when you lean over them, to share salted cotton candy like tears. They have rough feet and quick hands. Sometimes they steal - but from the bins. Eudes Quittelier observes and waits for changes on the streets of Paris or New York City: people often coalesce into the ideal composition, and then actors shift without notice and the scene dissolves instantly. Yet Quittelier is ever ready, with sharp instincts - ready for the decisive moment. Laurent Renaux is a french photographer naturally attracted to women. For him, a woman’s image is more aesthetic, softer and more attractive than a male. By capturing the image of women he tries to understand them better ... maybe. Originally from Glasgow but based now in Basel, some years ago bought his first digital camera and started soon after to shoot Street Photography which has become his love and passion. An amateur photographer from Turkey. He is working as a civil engineer to earn his money to spend on mostly photograph. He is a Spanish designer and photographer who uses photography to capture beauty, detail and unique moments of our daily life and existence. In this special issue you will find some shots of our best photographers taken in stations all around the World. 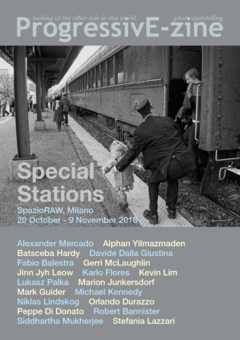 This issue is also the official catalogue of the photographic exhibition which will open on October 9th at the SpazioRaw exhibition space, in Milan. Pure serendipity – that’s how I discovered Street Photography and that’s what I love about it." 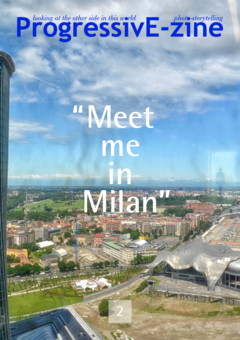 Batsceba Hardy, Italian by heritage, international by inclination, is the co-founder of both the Progressive-Street Facebook page and the official website. Everyone knows she is the brains behind this outfit, and it’s her vision that guides and inspires the affiliated photographers of this collective. A life-long Milano resident, Hardy is a bit of a Renaissance woman for all the hats she wears through out the course of a day. She is a wife, mother, writer, photographer, publisher, and chief organizer for some genuinely talented yet whacky photographers. Artists are not known for comporting themselves to the measured beat of a 24-hour clock. Robert Bannister, the man from Yorkshire thereabouts in England (yes, the United Kingdom if formality is necessary) does not suffer fools. In fact, he does not seem to suffer at all, and has a love of life that is undisguised. This is served up with some extraordinary B&W work from his trusty Fuji X-series cameras. Bannister, along with Hardy, is a co-founder of both the Progressive-Street Facebook page and the official website. 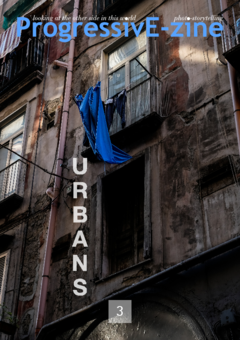 A self-styled ironic and Romantic street photographer, Bannister is never happier than when he’s in the heart of a busy city, watching busy people living a life that is just the opposite of quiet desperation. Bannister doesn’t need to get his kicks on Route 66. It’s all happening among the cityscape where he walks about, regardless of geographical locale. Mark Guider if it’s summer, the 53-year-old street photographer, is on the road with his camera. This year is no exception and he is bound for San Francisco on a journey into this part of America. There’s the San Francisco of music … think Tony Bennett and his heartbreak, think Scott McKenzie and his generational anthem of Hippie Optimism, think Jerry Garcia, Grace Slick, Hot Tuna and so much rich music from the Bay Area in the late 1960's. And then there is the literature of The Beats, with Jack Kerouac and Allen Ginsberg and Lawrence Ferlinghetti. Now get ready for Guider and the nuanced rhythm of his street photography, the summer-in-the city feel of an artist painting with light and channeling influences and sensations that form his unique vision. Alphan Yilmazmaden is Our Man in Istanbul, and esteemed British novelist Graham Greene would whole-heartedly approve. This retired engineer knows the streets of Istanbul well - yet to know this city, which straddles both Asia and Europe, one must truly know the Bosporus … the small sea that separates the two continents, and the two sides of Istanbul. This is Yilmazmaden’s office, and what an office it is for a street photographer. Against this backdrop one is informed by a pageant of history that very few cities on this planet can boast. And then there is the sensory experience that reflects both this history … the sights and smells of foods from the worlds of the Greeks, the Romans, the Arabs, the Turks and so many more that traversed the Silk Road from Old Cathay across Central Asia to the doorstep of Europe. And then the winds that both calm and alarm the residents - always reminding us of the power and the glory of nature. All of this inspires Yilmazmaden, and informs his photography. Israeli photographer Sagi Kortler lives slightly north of Tel Aviv, that cosmopolitan city on the eastern edge of the Mediterranean Sea. This is where he goes to mix with one of the most diverse populations in the Middle East, if not the world. Israel was established on May 14, 1948 and still attracts large numbers of immigrants from the four corners after 70 years. And Tel Aviv - “Hill of Spring” in Hebrew, dazzles with its mix of worldwide cultures. For Kortler, this is where he thrives as a street photographer. Lukasz Palka Born in Poland, raised in the US, and residing in Japan since 2008, he is an urban photographer interested in all aspects of the Tokyo Metropolis; its people, its infrastructure, and the endless stories that unfold in the city’s streets. Gerri Mclaughlin Originally from Glasgow but based now in Basel, some years ago bought his first digital camera and started soon after to shoot Street Photography which has become his love and passion. Michael Kennedy is an American photographer, writer, and reconteur who lives in Seoul. Although photography has always been his passport into other worlds, he has also managed to write hundreds of love letters to several women with names that begin with “S”. Our special guest for the premier issue is Los Angeles-based Michael Dressel, a leading figure in contemporary street photography. We know readers will be rewarded by Dressel’s no-nonsense approach to photography on the mean streets of Los Angeles and Hollywood, where he has lived for over 30-years. Starting with our second issue of ProgressivE-Zine, the magazine will offer detailed information about subscriptions, terms, costs and general conditions.